Lorraine's warmth & caring are immediately apparent to new clients. Her focus is on behavior change & she gently pushes in a manner that is both caring & very effective. She makes people comfortable discussing things they believed they would never be comfortable discussing. Lorraine has been helping people through crises; with problem solving & life changes; & feelings of angry and disappointment with their lives. It is with compassion, interest & motivation that Lorraine joins her client's world & tries to feel their pain & assist them with altering their lives. People struggle with the many demands of relationships, family & work & are often in conflict. It has been Lorraine's goal & accomplishment to help her clients move toward the changes that would give them more fulfilling lives. Lorraine provides individual & couple therapy, specializing in sexual issues. She has extensive experience & training at the Loyola University Medical School / Sexual Dysfunction Clinic. Couple therapy is sometimes done jointly with her husband of many years, who has similar training. When working on sexual issues with couples, Lorraine & her husband Steve (both with extensive experience in this specialty) are a very dynamic & effective co-therapy team that provides this much needed service to this geographical area. Lorraine is a Licensed Clinical Professional Counselor & Substance Abuse Counselor, located in Lisle, Illinois. She completed her Master of Science in Counseling Psychology at Benedictine University. Lorraine is also certified as a Divorce Mediator. 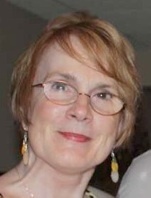 Lorraine uses an eclectic approach, drawing from Cognitive-Behavioral & Psychodynamic Models.